Can you believe that we're almost mid-way through June? "I wonder what it would be like to live in a world where it was always June," wrote L.M. Montgomery. And, for many years, this great Canadian author lived not too far from where I'm sitting, so I feel I know exactly what she's talking about. June has so many gifts - blossoms, sunshine, strawberries - and it's our duty to enjoy them while they last. I try my best to enjoy berries as often as possible while they are in season. 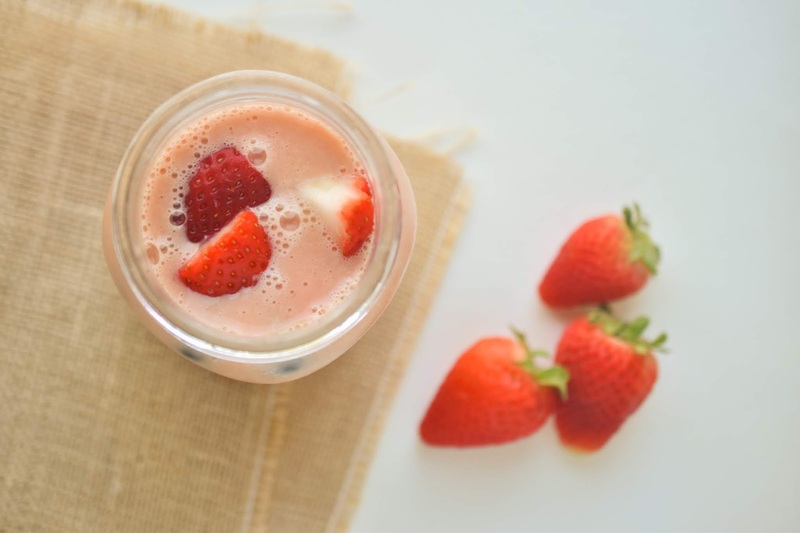 For the day of vegan eats I'm sharing today, I started the day with a smoothie of frozen banana, peach slices, pineapple, strawberries, orange juice and soy milk. I didn't add any "superfoods" such as chia seeds because I find they can be tricky on my digestion. My husband had made pizza for dinner the night before. I enjoyed a few slices of leftover rapini pizza for lunch, and washed it down with chocolate soy milk. I had a busy day (yesterday) and I had to pick my daughter up early from school for her dance recital, so I didn't eat any snacks during the day. I did make a very early dinner though, so we could all get fed before the (long) show. 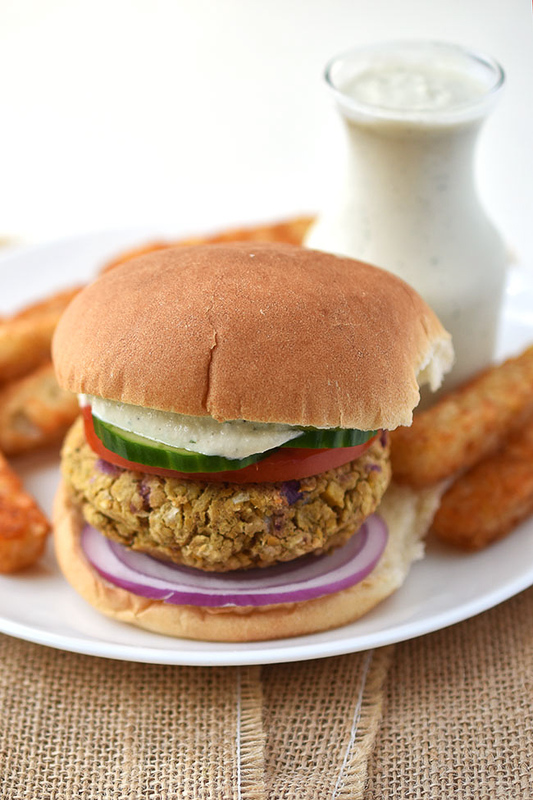 I'm still trying out recipes from Vegan Burgers & Burritos: Easy and Delicious Whole Food Recipes for the Everyday Cook. For dinner I made the My Big Fat Greek Burger with Yiayia's Authentic Tzatziki Sauce. I prepared the burger mix and put cashews to soak for the sauce in the morning. I made the sauce mid-afternoon and I asked my hubby to bake up the burger patties and slice up some toppings - cucumber, tomato and red onion - while I helped my daughter get ready for dance. In this way we avoided grabbing takeout on the way to recital. This option was healthier and less expensive. Look out for my review of this cookbook soon. I knew I would get hungry while watching the dance recital, so I popped this Bobo's Oat Bar in my purse. I just noticed these in our regular grocery store recently. These bars are vegan and gluten-free. I really like the dense, chewy texture. The taste is on the blander side but they are a good option for a snack on the go. What do you love about June? What do you snack on when you're on the run? 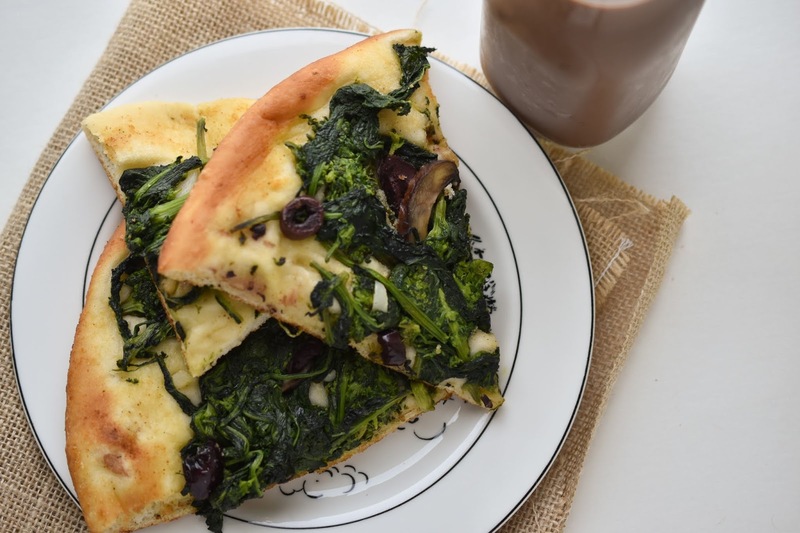 That pizza looks amazing! I've been craving it lately. And Bobo's bars!!! They're the best! 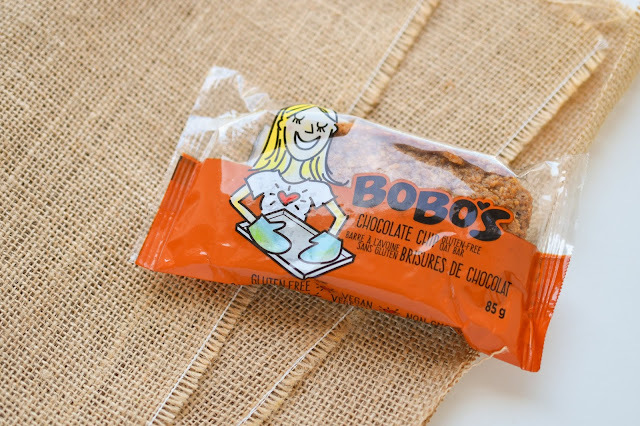 I've only started seeing the Bobo's bars here recently but we often get products later in Canada.